When it comes to plumbing problems, the ones involving the sewer line have to be the worst. A leak, alone, can be a serious biohazard in your own property. It’s something that no one wants to have happen to them. We hope it doesn’t happen to you, but if it does, we’ll be here for you. 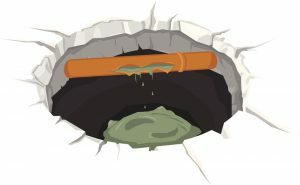 That’s why in today’s post we’ll go over a few signs of sewer line problems, as well as some common causes for it, so you can know how to identify it. Keep in mind, however, that the signs of plumbing problems often overlap, so it’s important to call for the opinion of a plumber in Santa Barbara, CA before jumping to any conclusions.